Click the heart to save your favourite pieces to your wishlist. Have you ever thought how you learned you to smell? About the basics you take for granted? What if that was to be completely turned upside down? Introducing Hermetica, which cleverly combines natural ingredients with synthetic molecules to create many fragrance firsts. Not only is its collection of 12 perfumes completely alcohol-free, but they also contain an SPF and moisturisers. But the best bit? Their perfumes have their own speed. We spoke to the founders to find out more. 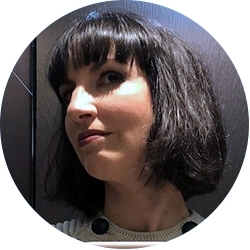 You are the masterminds behind bestselling fragrance brand Memo. What were you looking to create with this new brand? 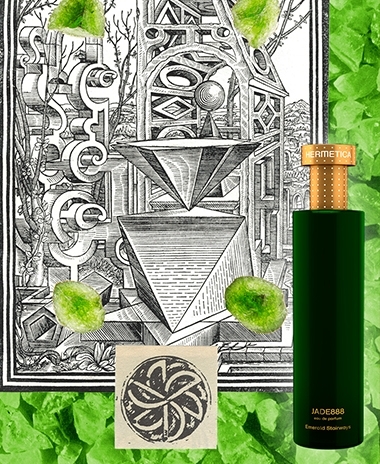 Hermetica is the accumulation of years of collaboration with pefumer Aliénor Massenet, trying, smelling and coaxing different formulas and scents. When we decided to create a collection of perfumes that were alcohol-free, we had to completely rethink the way we build fragrance formulas and start from zero. It took two years to perfect. Where does the name Hermetica come from? Hermetica takes its name from corpus hermeticum, a collection of mystical texts that influenced the practice of alchemy in the early Middle Ages. Just as alchemy sought to transform basic metals into precious materials and to find the elixir of life, our perfumers have turned traditional ingredients into modern molecular fragrances, transforming the way we create perfumes today. A key premise of Hermetica is that each perfume has its own speed. How is this possible? 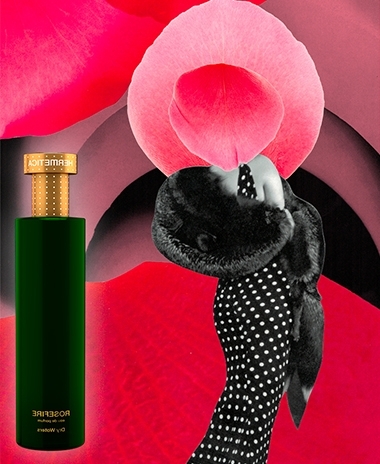 The speed reflects the time it takes for the core of fragrance to be fully released. For example, we estimate it takes ten seconds for the heart of Jade888, a verdant combination of green musk, ginger, and lily of the valley, to be fully revealed to your senses after the first spritz. All of the fragrances are alcohol-free, what benefits does this bring to the brand? Being alcohol-free makes our perfumes gentler on the nose and skin without losing their intensity. Unlike traditional alcohol-based perfume, our fragrances can also be worn in the sun without the risk of staining. Fresh cut green grass. The juniper and apple in Greenlion really captures that. Hermetica’s glass bottles are made from recycled glass and sand that is locally sourced to reduce the carbon footprint. The bottles are refillable and reusable with fragrances that are cruelty-free. The bottle is housed inside a golden perforated cylinder, reminiscent of the molecule that carries the perfume to your nose. © Harvey Nichols Group Limited 2019. All rights reserved.